If you’re dealing with mosquitoes and ticks on your Ashburn, Aldie, or Leesburg, VA property then you might be looking for effective solutions. While you don’t want to compromise your family’s safety with harmful products that have you concerned, you also don’t want to use a product that doesn’t work. You might feel torn—like you have to compromise. Fortunately, you don’t. 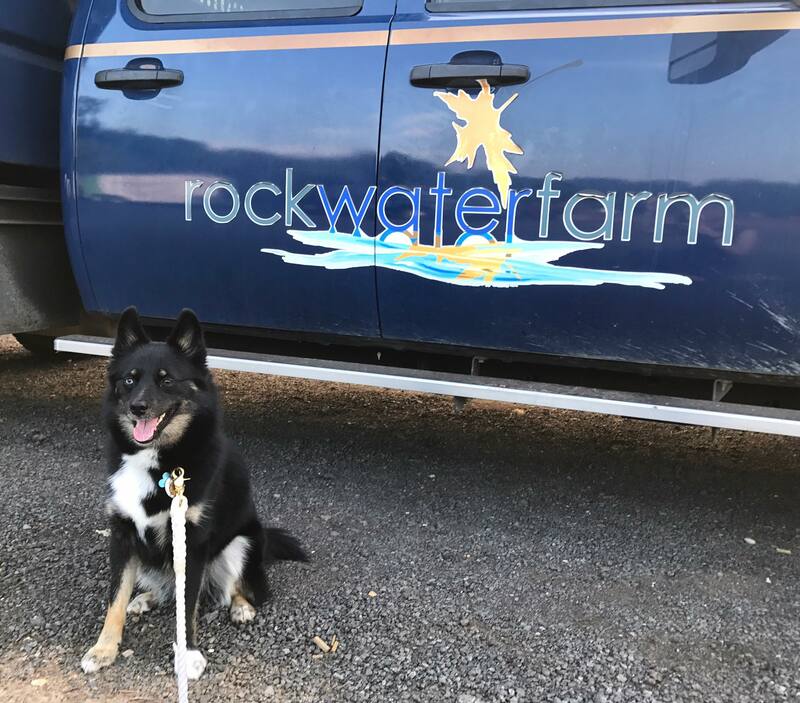 Rock Water Farm professionally applies an organic tick and mosquito spray that is both safe and effective, giving you the best of both worlds. What is in Organic Tick Spray and Mosquito Control? If you’ve tried spraying the yard for ticks and mosquitoes with some sort of store-bought, organic material in the past, then your experience might be that these products don’t work very well. A lot of natural products use herbs and essential oils but lack potency and therefore any major effectiveness. They may wear off within hours or were never strong enough to work in the first place. After many years of searching for ourselves, we are excited to have found a professional-grade organic product that actually works. The primary ingredient in our professional product is cedar oil. 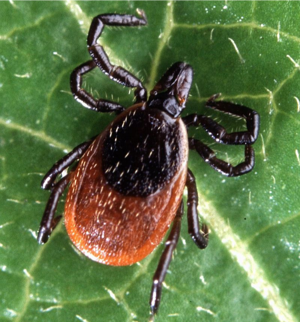 For ticks, cedar oil is known to block the pest’s scent receptors and disrupt its body systems. On contact, it will also dry up the tick, completely disintegrating young ticks and fatally wounding adults. For mosquitoes, the natural aroma of cedar oil is a major deterrent. An added benefit is that if mosquitoes come into contact with cedar oil, it can kill them, their eggs, and their larvae. In addition to cedar oil, our organic tick and mosquito control product also includes a proprietary blend of other organic ingredients for a mixture that is deadly to pests but harmless to humans. How Often Should I Be Spraying the Yard for Mosquitoes and Ticks? The key to success with a product like this is frequent applications during the mosquito and tick season. The complete safety of these natural products also means their potency doesn’t last as long as chemicals would. We begin these applications in April and typically spray every three weeks until November, essentially from frost to frost. Where Should Organic Mosquito Spray and Tick Spray be Applied? The first application should definitely be a blanket application. At Rock Water Farm, during our first application we’ll apply more product than in subsequent visits. Going forward, as we kill the existing pests and also drive them from your property, we’ll transition more into keeping them away. Of course, this entire process should be customized to your lawn. 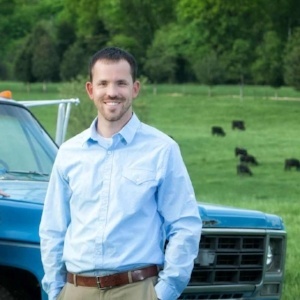 For Rock Water Farm, that means each property will be assessed and the specific game plan that we will develop will be customized to their needs. In most cases, we are treating the perimeter plantings of your property as well as under a deck and within ornamental trees and shrubs. 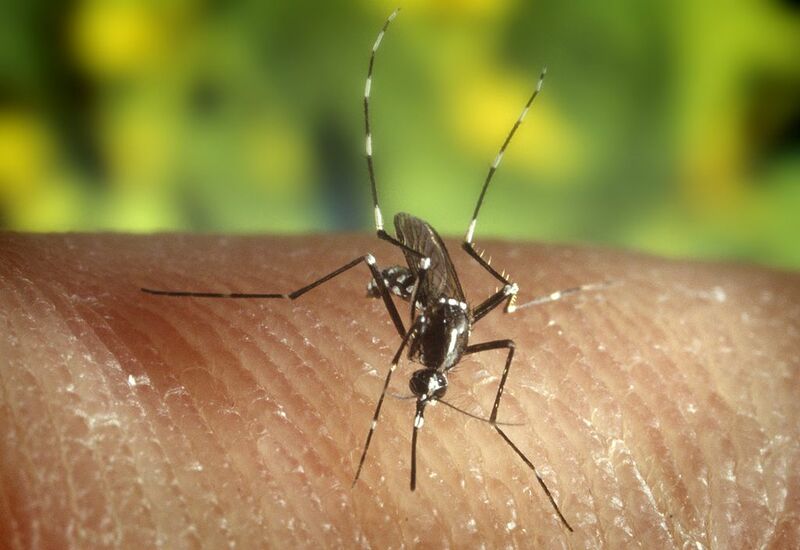 Mosquitoes and ticks rarely hang out in bright, sunny, open areas. They stay in nearby outdoor living areas, just waiting for their next snack—you! Can’t I Just Perform Organic Tick and Mosquito Control Myself? If you’re looking into organic mosquito control and organic tick control on your property, you might be pondering whether you can just perform these services on your own. While nothing is stopping you from doing this, it might not be the wisest choice for several key reasons. In fact, we’ve talked to homeowners who used to perform their own organic tick and mosquito control with store-bought products and they ultimately decided it wasn’t worth it. While the number one reason that homeowners who try to treat their lawn with a DIY approach is cost, those that went that route often discover it’s not as inexpensive to perform the work themselves as they think. For one, you have to go out and purchase not only the product, but the equipment. A gallon of product might cost you $85 and depending on the size of your property, you may require as much as 2 to 20+ gallons. On top of that, a good quality backpack blower sprayer might cost you $600+. You could settle for a cheap pump-up sprayer but a backpack blower is the best way to apply product if you want to be effective. Add to that the cost of safety gear and it really starts to add up. After all, even though this product is safe, you still don’t want it in your eyes or on your clothes. For that reason, you should also invest in personal protective gear. Homeowners who have come to recognize that there are more supplies needed than they first realized, tell us they wish they’d just chosen professional services from the start. It doesn’t work out to be that much different if you look realistically at the DIY investment. In addition to purchasing all this equipment and product, you now also have all the hassles associated with it. That means storing everything, preparing or mixing chemicals, cleaning and maintaining the equipment, and even running back and forth from the local hardware or box store when you need more. However, with the service being performed for you, it’s one less major hassle to worry about. Chances are, you have better ways that you’d like to spend your time than dealing with all of this. While it’s true that you can buy products with cedar oil in them at the store, there’s still a difference between what we’re using and what you’d purchase on your own. After all, there is a reason why we still need a license to apply product. Even though it’s organic, our product is professional-grade and that also means it’s going to be more effective. On top of that, our technicians are trained to know exactly where to spray. We’re using top-of-the-line equipment and the best methods. We’re also performing the service on a regular schedule. Though you might have had the best intentions to get out on your lawn and treat regularly with your DIY organic tick and mosquito control approach, more often than not, life gets in the way. For instance, maybe you’re only able to get outside and spray on the weekends but the weekend that it’s due you have somewhere to be or it’s inclement weather. Falling behind on the schedule will leave your yard prone to the return of these pests. If you’ve decided that you don’t want to spray your yard on your own, then you might be looking for the right professional for the job. When it comes to working with a tick or mosquito company, you obviously have a choice. But we have found that we are a bit different from what other companies are offering. The biggest difference is our use of a completely safe and totally organic product. We find that most lawn care and pest control companies are using pesticides with harmful chemicals. 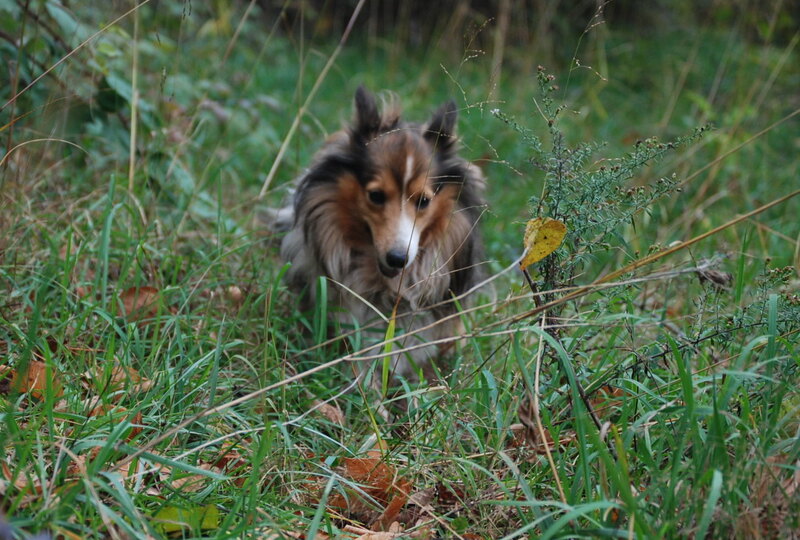 For our clientele, many of whom have young children and pets playing in the yard, this simply is not the best choice. You deserve to feel as though your property is your safe haven. Mosquitoes and ticks rob you of that feeling—but you don’t have to let them. By taking action, you can prevent these pests from causing you and your family anymore distress. Rather than spending any more time worrying, take back control of your yard and get back to enjoying your time outside. You deserve to have some peace of mind and comfort. If you’d like to discuss safely protecting your Ashburn, Aldie, or Leesburg, VA home from ticks and mosquitoes, talk to an expert, choose a solution that rocks, and then get ready to take back control of your property.